Angie's Acres is located on the beautiful slopes of Mount Hualalai. Our Coffee trees thrive on the cool slopes of the mountain planted in rich volcanic soil under afternoon cloud cover. The Kona weather pattern of bright sunny mornings, humid, rainy afternoons and mild nights creates favorable coffee growing conditions, giving Kona Coffee the top advantage over coffees grown in other parts of the world. 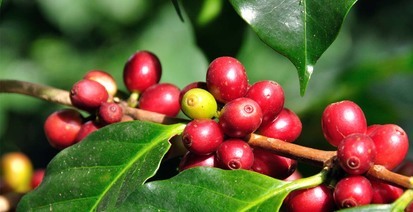 Coffee trees typically bloom after Kona’s dry winters and are harvested in August through January. This perfect balance of morning sunshine and afternoon showers is found only on a narrow stretch of the Big Island of Hawaii known as the “Kona Coffee Belt.” Throughout the centuries, rain erosion has broken down the lava produced by Hawaii’s majestic volcanoes. 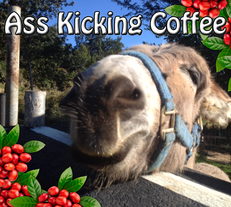 The result is extraordinarily mineral-rich volcanic soil that nourishes the coffee cherries and gives them their superb flavor, exceptional body and earthy smoothness. 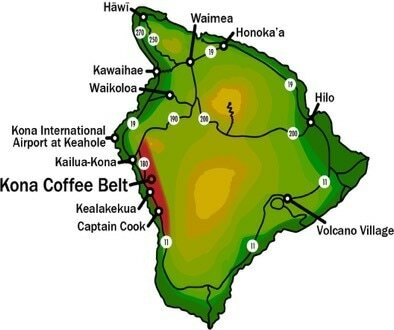 Coffee can only be called “Kona coffee,” if it is cultivated in the North and South districts of Kona , a 22 miles long and 2 miles wide stretch on the Big Island of Hawaii. We use only our own harvest which is 100% organic estate-grown Kona coffee.